And while this is pretty groundbreaking for a band like Soundgarden, other bands have found adding this niche to the live show experience brings true fans closer to the band. Bands like The Cure, Green Day and The Pixies have performed some of their most iconic albums: “Disintegration”, “Dookie” and “Doolittle” [respectfully] – from start to finish – to crowds of album-loving fans. There’s no shortage of bands that do this. Some say it’s a gimmick. Others are entranced by hearing their favorite album – the one they’ve played hundreds of times on vinyl, cassette, CD or MP3 – track by track in a live setting, with the artist performing each note as their ear and brain recalls each lick, beat and strum. Sonic Youth “Daydream Nation” to the punk youth is magical. Brian Wilson in 2004 taking the masterpiece album “Pet Sounds” on the road and performing it each night to a generation of Beach Boys purists. Even metal heads get to hear Megadeth perform the 1990 “Rust In Peace” album and Slayer taking on each song from their brutal hit “Reign In Blood” is music to one’s ears, literally. 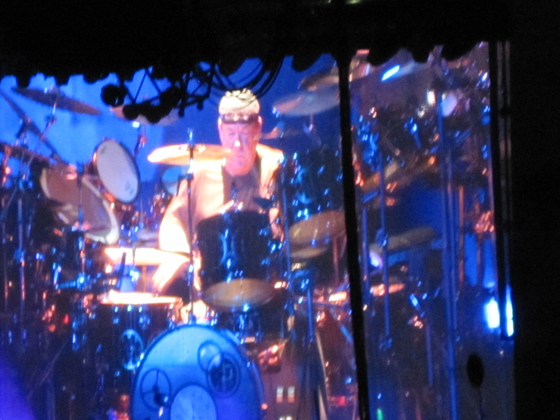 I’ve experienced this twice in all of my concert going days, with Rush performing “Moving Pictures” back in August 2010 and Bob Mould taking on the role of Sugar’s leader in 2012 with the album “Copper Blue” after 20 years. I’m a big Rush fan. And “Moving Pictures” was an album that I loved and played to death. So to hear it from start to finish live, I could not miss this concert. Read my review here as I gush over how well this album held up as it was performed complete and live. 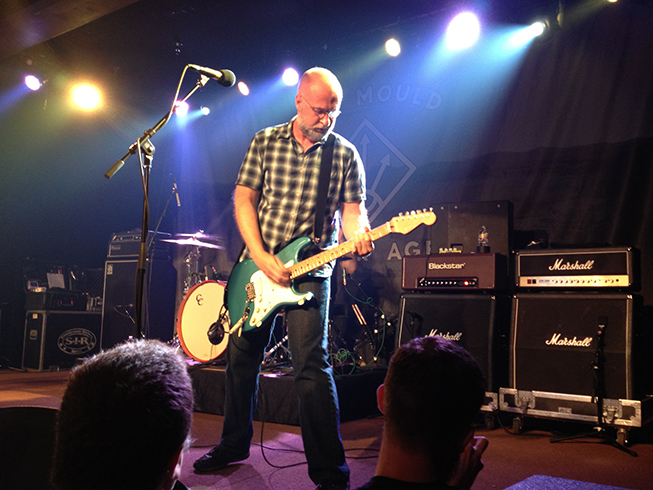 I traveled from Utah to Portland to see Bob Mould live, where he was doing a limited number of dates where he performed the entire debut album by his band Sugar. Read the blog post for my experience from this fine 1992 album. There are so many albums I would love to hear live, including the upcoming performances at the new Brooklyn Bowl club in Las Vegas by Jane’s Addiction, performing three nights and playing their studio debut “Nothing’s Shocking”. Has anyone experienced hearing their favorite album performed live? Tell me in the comments below. And I want details. I’ve never been to one of these gigs but would love to go. I have the Cure’s Trilogy gig on DVD and have watched it to death. I love the Trilogy DVD. So good. The opener of “One Hundred Years” is one of my favorites.